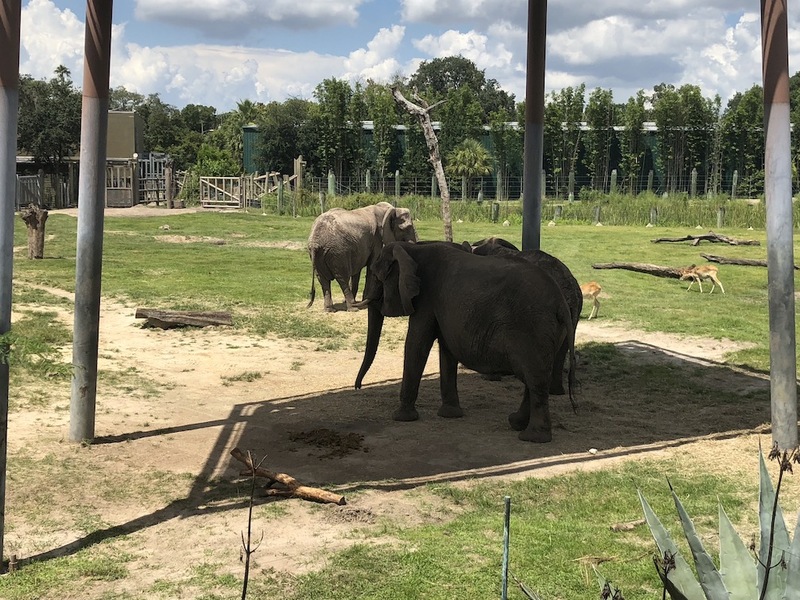 The summer is over (although you wouldn’t know it in Florida), and the theme parks saw a slight drop in visitors as school went back into session for most of the country. Unfortunately that never lasts too long and now the holiday season is quickly approaching. 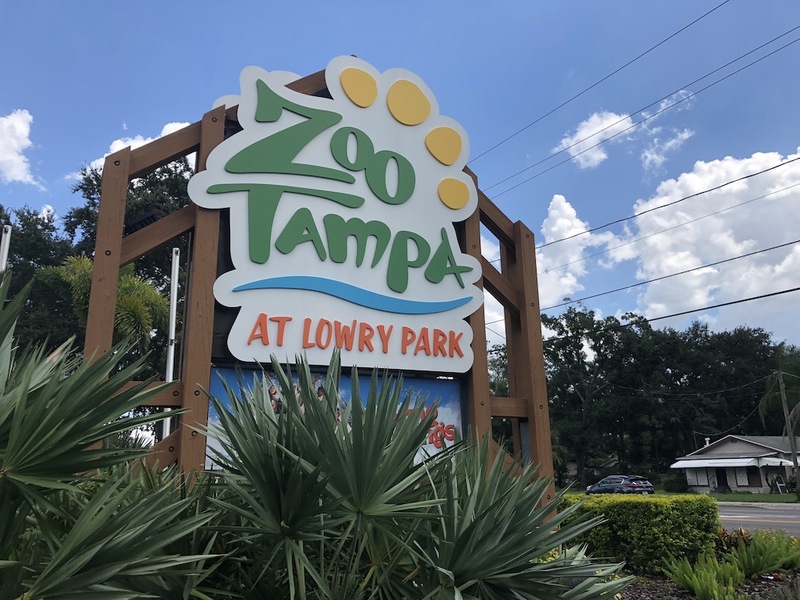 Just before Halloween we took a drive out-of-town down I-4 to Tampa and checked out a place we had been interested in visiting for a while, the Lowry Park Tampa Zoo. 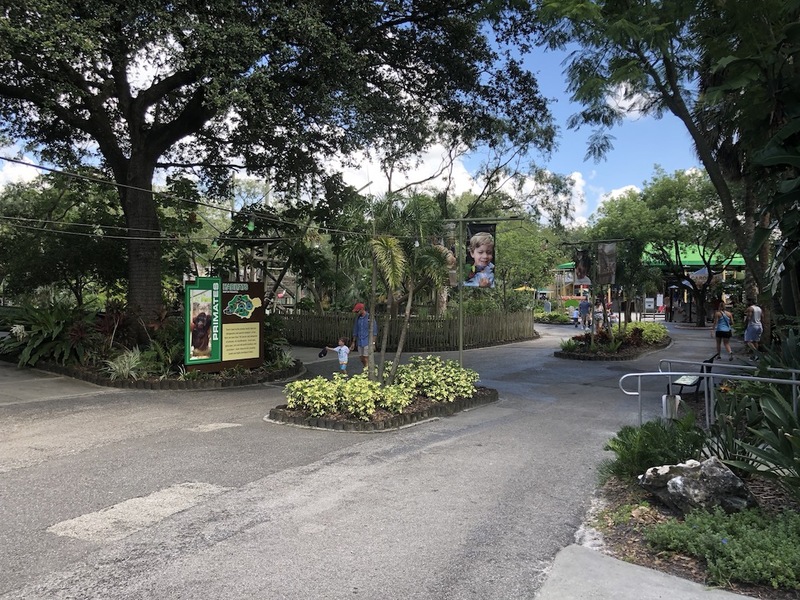 The zoo is a bit outside of the downtown area of Tampa, but not hard to get to. 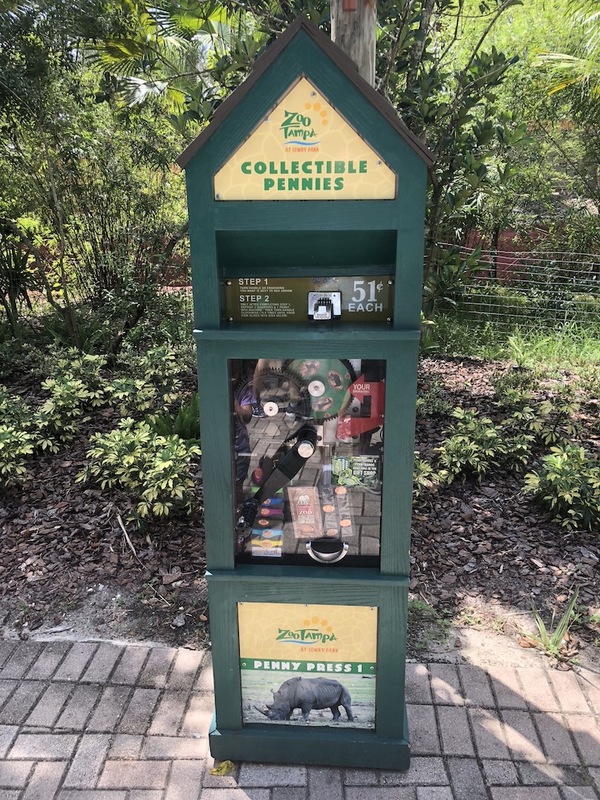 A nice perk was that they offered free parking which is something becoming more and more rare around the Orlando area lately. After buying our tickets and entering inside the park splits into a few different pathways. They all connect with each other eventually in a main central area of the park where you can also find a pretty big carousel. We let the kids decide where to go and we were off towards Africa. 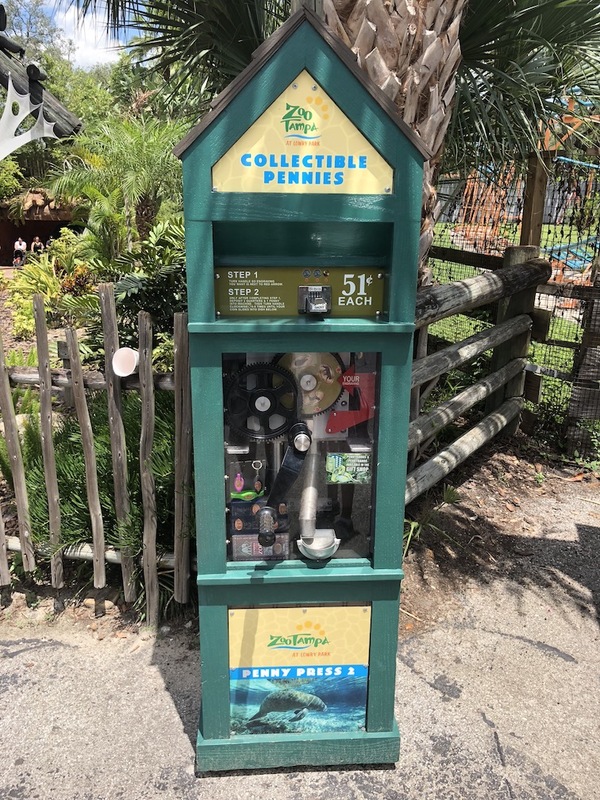 Just before the path that led towards Africa was the first penny machine we came across. This machine was not level on the group so as we turned the handle to press the pennies the entire machine kind of rocked back and forth a bit. I wasn’t worried about it falling over, but the rocking did make it a little difficult to use. 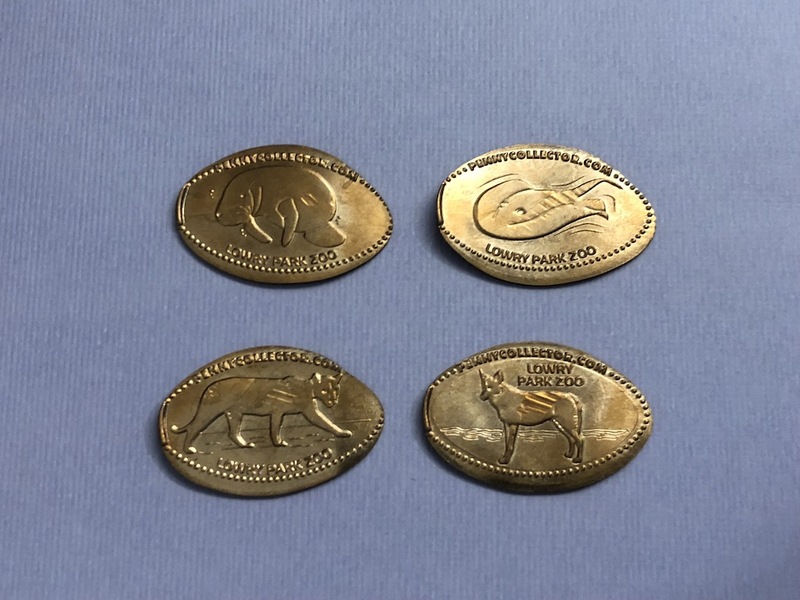 All of the designs have Lowry Tampa Zoo on them along with a variety of zoo animals. This set had an Manatee, Ray, Tiger and a wild Dog. After using the machine we headed towards the Africa Tunnel. This was an interesting park of the park where you actually walk under a roadway, through a tunnel to the next set of exhibits. We found out afterwards this is due to the Safari rides they offer where you can get a little closer to some of the animals. The wait time was more than we wanted to incur on this hot autumn Florida day so we just kept walking. My girls were intrigued by the large tortoise we found along the way. They had just been fed some lettuce leaves and he was going to town on them. 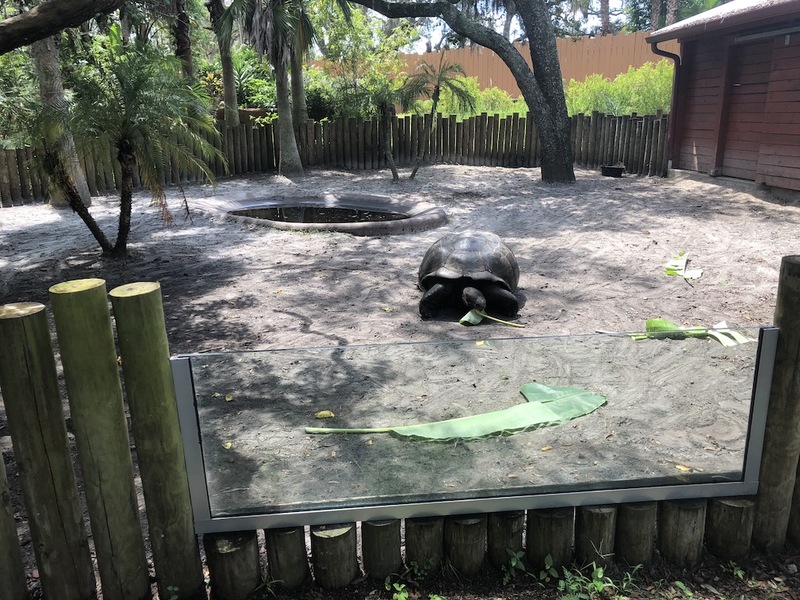 The zoo had a nice little cut out of the fence with a piece of plexiglass that made it easier for the younger / shorter visitors to get a nice look. The rest of the afternoon we visited with some elephants and giraffes. 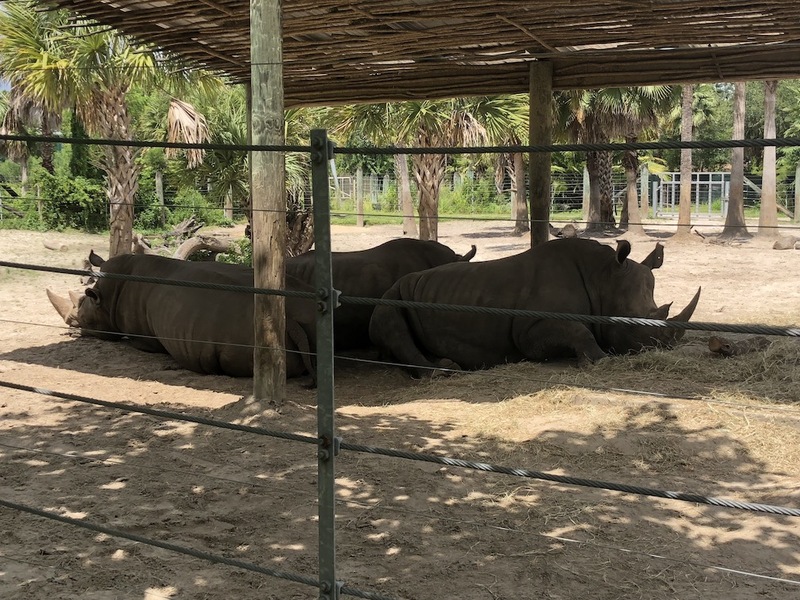 There were also some rhinos enjoying the shaded area of their exhibit and a few zebras were found nearby. Eventually we headed back towards the Africa Tunnel but stopped near the Savanna Oasis for some lunch. 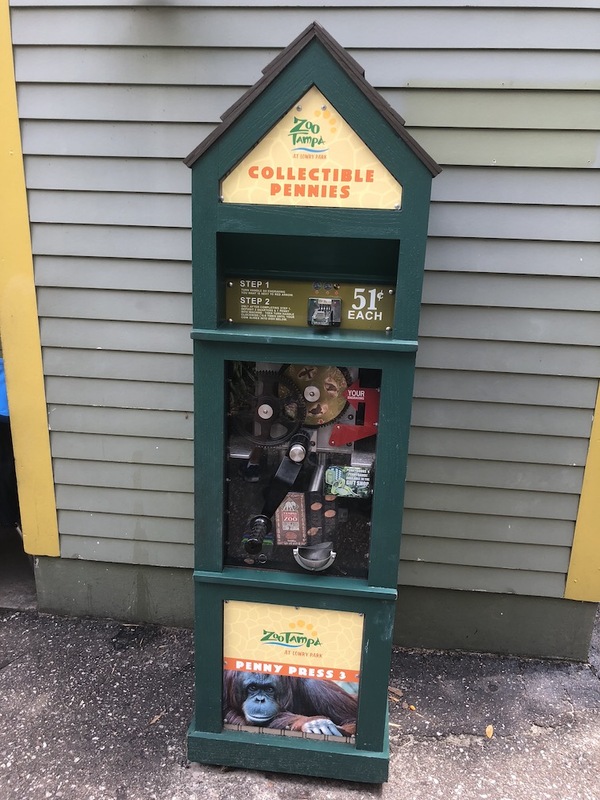 After our lunch we found the second penny machine just across the pathway. 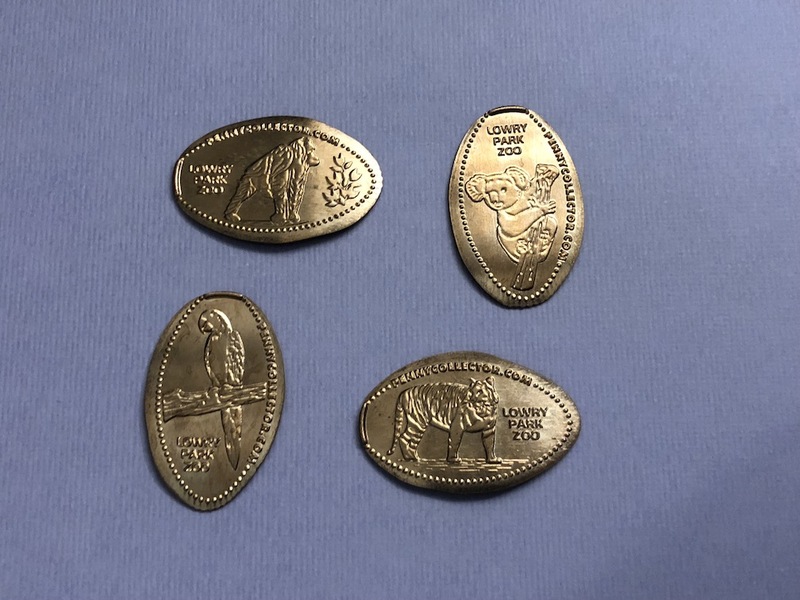 This second set of designs included some of the animals we had visited with earlier which my kids always get a kick out of. 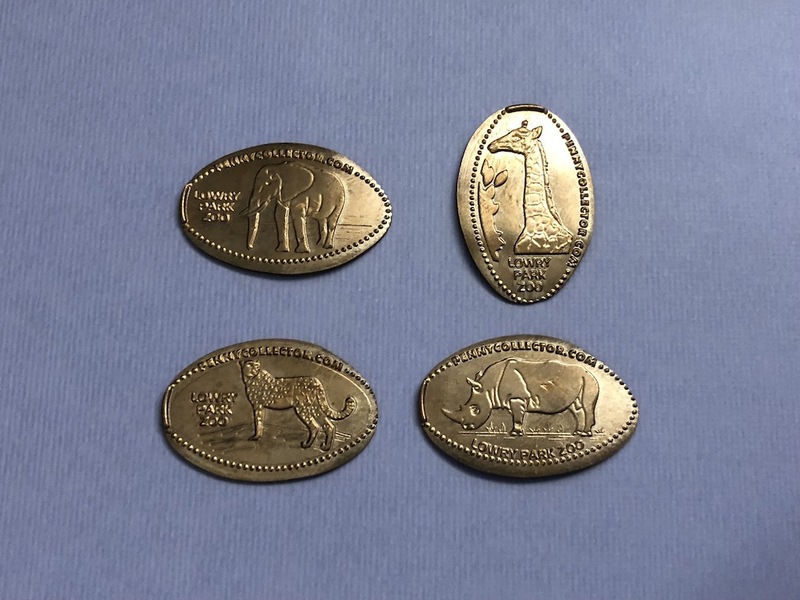 The set included an Elephant, Giraffe, Cheetah, and Rhino. We headed back through the tunnel towards the carousel. Our daughters always request a ride on the carousel so we took a break for one ride which eventually turned into two rides. The next area we headed into was the local Florida wildlife which included some birds and alligators of course. There was also a touch tank with some sting rays inside that had a large crowd. This is always something that seems to get a lot of attention. Unfortunately a few of the areas here were also under construction and made for some long periods of walking with nothing much to see. By this time we had spent a good part of the day at the zoo, and the blazing sun was starting to take its toll on us as it usually does. The kids were getting a little cranky and my wife and I were about ready for a nap ourselves. The pathway we were on eventually came out by a set of restrooms near the exit of the park. This was also where we found the third and final penny machine available at that time. This machine was in much better working condition and rolled the pennies nicely. The set had images of an Orangutan, Koala bear, Parrot and a Tiger. We made one last stop in the gift shop for some souvenirs. Our kids picked out new plush toys which I’m pretty sure we already had from another park but it makes them happy. 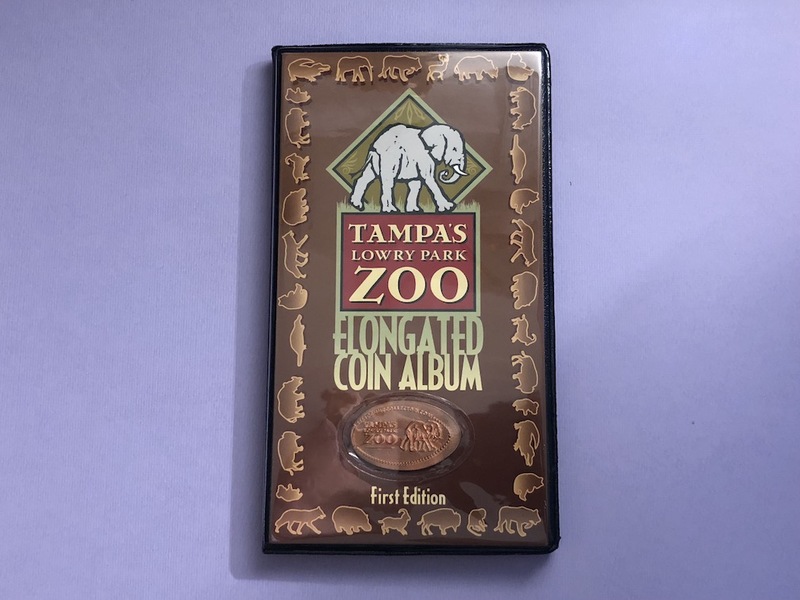 I also found a penny booklet for the zoo that I just had to have. It was a bit of a slow walk back to our car due to everyone being pretty tired. They fell asleep almost immediately after I started driving home. This zoo was a lot of fun, but we are suckers for these types of places and love seeing the animals. I’ll be curious to see how this place looks next year after they have finished with those exhibits that were under construction on this visit. Plus of course I have to keep tabs on these penny machines. You never know when new designs will appear.